The Grand finale of Boogie Woogie is going to be a star studded affair with bollywood big wigs making an appearance on the show. To start with, shehanshah of bollywood Amitabh Bachchan will amplify the grandeur of the occasion with his enigmatic persona. 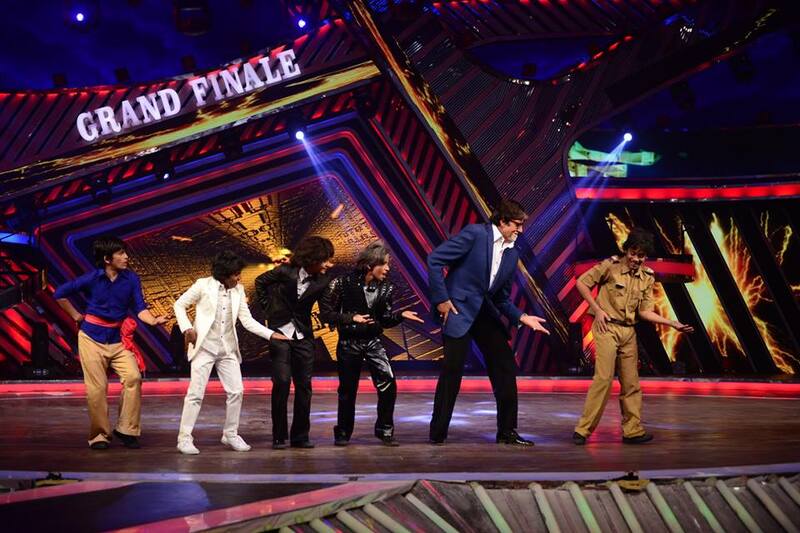 The legendary actor will shake a leg with the Top 5 dancing sensations on a medley of his hit songs. Big B will also be seen on the show promoting his movie Bhootnath returns. He will also announce the winner of Boogie Woogie Kids Championship. The entertainment doesn’t stop here! Main Tera Hero stars Varun Dhawan, Ileana D’cruz and Nargis Fakhri will also make an appearance on the show and will be enthralled to see the adrenaline pumping performances. He will also match steps with the contestants on his hit number ‘Palat’. Shreyas Talpade, Jaccky Bhagnani and Anu Malik will also take the entertainment quotient of the finale to a notch higher with their scintillating performances.